In a market drowning in analog synth reboots (nearly as ubiquitous as the three-year Hollywood film remake cycle), a non-iterative new product launch is a welcome harbor. What’s even more refreshing is that Yamaha’s latest offering, the Montage 8, does everything the analogue and modular systems do and then some. New technology, a new interface, and an exciting new package all work to make the Montage 8 a standout among its competitors. Before we get started breaking down the Montage 8, please take a look at the interactive table below. There, you’ll be able to compare the Montage 8 to other notable synthesizers on the market that are worthy of your attention. There’s a lot to like here. While playing the Montage 8, I was filled with the sudden rush of joy that only an iconic keyboard can bring. Beneath my fingers, the buoyancy and nuance I managed while tickling the Montage’s ivories was refreshing from a manual that wasn’t attached to actual hammer struck strings. The pianos astounded, brass was big but wieldy, and the synth sounds delighted my ear as much as they made my heart race with the frisson of on-the-fly tweaks that altered the waveforms in myriad and potent ways. Playing this electric synth was akin to that feeling I get when I sing in the shower and I feel just like Usher or Justin Timberlake (or at least that’s what I tell myself) due to all that heavy reverb. Whether my fingers dashed the keys, striking them with deliberate intensity or merely meandered across the stark black and white hues with flourishes and trills, I walking-bass-lined and arpeggiated my way into a froth of hedonistic sating so powerful that my mind was transplanted to another dimension, one in which time and space amalgamated into dark sticky molasses; and, that molasses inundated me with every musical genre trope from spartan Funk basslines. In addition to the standard features—quality sounds, a full-sized, weighted manual, and enough effects to pacify even the pickiest producer—this keyboard represents Yamaha’s renewed success in producing a premium synth designed to inspire. With live performance so highly venerated by Yamaha in its latest offering, the streamlined control scheme onboard the Montage 8 ushers in a whole new dynamic environment for stage performance. This level of multitrack automation (although the Montage manages to avoid sounding canned), was previously only available with painstaking MIDI-sequencing in professional sound studios. The beautiful thing about this new model is that it lets you tweak, on-the-fly, ridiculous levels of nuance and raw sound processing power easily thanks to the company’s latest in live interface innovation, the SuperKnob. You may be wondering just what the heck is a SuperKnob? Well, its Yamaha’s new performance control interface that offers expansive, off-the-cuff fine-tuning of multiple, simultaneous effects. When the interface’s other eight knobs are placed in assignable mode, the SuperKnob controls them with amazing results. This stylized macro-controller is bundled together with what Yamaha is calling its Motion Control Synthesis Engine. What it sounds like is some alien music computer from the future. What it is, of course, is a tandem pairing of effects processors titled AWM2 and FM-X, which allows for sophisticated, dynamic control over sounds and effects that were designed with the live performer in mind. Twisting the blinking LED on the SuperKnob added punch to my performance. It made the sound bigger in dynamic ways you’d have to hear to truly appreciate. Mixing in predetermined effects parameters like room drenched EQ, nostalgic FM fuzz and swooshing pans with additional sound patches transformed my groove from spars, percussive Clavinet chord-stabs, to buttery legato sound-sweeps that maintained the clarity and presence of multiple, mixed brass and string parts. The turn of a dial empowered my performance to near delusional levels of grandeur (at least what I managed would have been considered delusional had it not actually manifested within my ears.) All of this vigor owed to the SuperKnob’s expressive capabilities. And for those Motif hold-outs who would rather lose a finger than upgrade to the shiniest new keyboard, don’t worry. One carry-over from Yamaha’s Motif line is the ability for users to access dedicated rows of buttons that give musicians control of, among other parameters, global effects sends, filter and envelope, and how arpeggios behave during live performance. 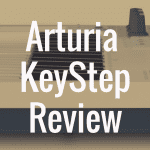 So, there’s no need to be intimidated by catchy new titles like SuperKnob or Motion Control Synthesis Engine. They’re meant to enhance your gigs. In fact, the Montage 8 packs your live performances with enough thump to make you forget all about those hours thrown into capturing that “just right” performance on your Motif XF. There isn’t enough space here for me to discuss all the wonderful sounds this synth possesses. 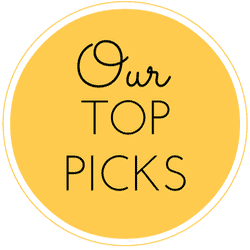 So to choose a few that sound at once amazing and are simultaneously representative of the quality you can anticipate from the Montage 8, I’ve chosen to focus on a handful of pianos, electric pianos, and orchestral sounds that will surely feature on any gigging musician’s set list. The CFX Concert piano, Yamaha’s famous multi-layer offering, renewed this year with all new samples is a first-call patch that will help you nail any gig. The CFX keeps its intense, contemporary sound but motions at more by utilizing four AWM2 processing parts. 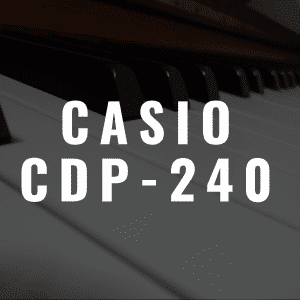 Drawing upon 32 distinct tonal elements, including alternate samples and velocity layers, it combines multiple parts to produce one cohesive performance with nuanced piano-forte dynamics, overtone inflections that resonate well after striking the keys, and sustain similar to that of a true concert grand (that reportedly lasts for up to 10 seconds before refreshing). The Montage organizes electric pianos by decade and can be called up using the Scene buttons in the Gallery Performance section. Atmospheric Rhodes and funky Clavinets abound. As do tonewheel organs. And yes, the user interface delivers all-9-bars for all the in-the-moment dynamic organ tweaks you like. However, to get the most out of this feature, you will need an authentic Leslie speaker, as the included software-rotary effect leaves much to be desired. But plugged into a Leslie, this thing whales with all the authentic B3 sound you could hope for out of a product not manufactured by Laurens Hammond and company (and its easier to tote around than the 425-pound B3). The orchestral sounds exceeded all my expectations, too. They constitute a whopping hunk of the new sounds, and the sample quality is superb! The SuperKnob is useful here again as it is seamlessly applied to many sweetening effects, which bring depth and realness to live performances. The SuperKnob takes the Seattle Sections strings patch from unmoored to grounded while fading in its impressive ensemble beneath a solo bassoon. Extra octaves on the SuperKnob, along with trills and fall-offs on assignable buttons, makes my favorite patch—Pop Horns Bright—apropos while providing the keyboard player the ability to absolutely nail intricate, punchy horn-arrangements. The normal tells that you’re playing a bowed-or blown-instrument vanish beneath your fingers while performing on the Montage 8. Of course, a high-end orchestral software library is needed to provide certain effects that are nearly impossible to duplicate with digital synths. But the Yamaha Montage 8 is the closest keyboard system to acquiring that much-coveted crown—and in an intuitive, easy-to-execute package. From fuzzy synth sounds, biting leads, booming basses and gooey pads, The FM-X synthesis engine on the Montage 8 encompasses the entire synth sound-spectrum from retro to progressive, to downright experimental, along with expansive Performances that perfectly integrate these moods. 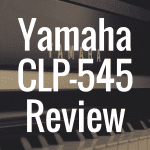 All Yamaha keyboards come equipped with a range of premium features. And there are no let downs with this year’s model. The key to accessing all the Montage 8 offers in wonderful sounds and in producing the nuanced live performance you’re after is the system architecture. And it all starts with the touch screen. Its effectively your new “home” as it displays the performance perimeters and keeps multitimbral mode always on. The beloved Voice mode from the Motif is shockingly absent on the Montage 8, but don’t worry. 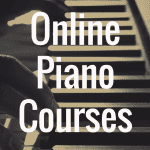 If you’re wondering, “how do I just play a piano,” well, there are many dedicated Performances that offer a single instrument sound. For added ease-of-use, Yamaha’s included the Category Search function that is sure to deliver the exact sound you’re looking for. One Performance is capable of hosting up to 16 Parts. Either the AWM2 or the FM-X sound engines can fuel those Parts, which may also be freely mixed and matched in a Performance. Splits and layers are simply tweaked using the Performance’s mixer strip, which is a touch input on the graphic user interface. The Montage carts over from the Motif XS/XF its Expanded Articulation. This allows users to relate conditions for when and how Elements “speak,” much like playing legato or pressing an assignable button. What this simply means is that acoustic and orchestral instruments ring out in voluptuous, gauzy, and strikingly accurate simulation of real symphonic accompaniment. Equally impressive, the FM synthesis engine manages to outperform the legendary Yamaha DX 7 by delivering 8 operators. Each operator has its own envelope and an assortment of waveforms. Additionally, equipped with each FM-X Part is its own filter and pitch envelope. The eight operators are organized by 88 algorithms. Not to be outdone by the outgoing model, the Montage 8 also comes equipped with 5 GB of samples; astonishingly, that’s nearly 10 times as many samples as the Yamaha Motif XF offered. The Motion Control Synthesis Engine is Yamaha’s novel take on a familiar notion. Macros and automation certainly use the same concept, but the Montage’s way of placing animation and modulation under your fingertips is exceptional. And Motion Control allows interactive control of performance functions like no other big-name maker does. Kronos may have more sound engines and Spectrasonic Omnisphere 2 may boast 55+ Effects Engines, but the simple controls on the Montage’s AWM2 and FM-X engines offer deep tweaks that can produce any sound you may need for your live performances. In the end, the Yamaha Montage 8 does so much so well. And it combines everything in a way that is not only singular, but is truly inspiring. I dare say, Yamaha’s latest flagship equals a new class of synthesizer. And for my $4000, there is no all-in-one keyboard synth better suited to the demands of today’s musicians. For great sound quality, ease of use, and excellent live performance enhancements over Yamaha’s legendary predecessor, the Motif, this reviewer gives the Montage 8 five out of five stars. 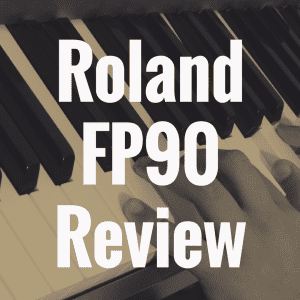 If you enjoyed this article, please “like” our Digital Piano Review Guide Facebook page! 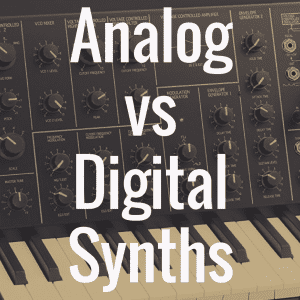 Analog Synth vs Digital Synth: Which One is Better?